A Shepherd's Heart: Approaching God with Confidence! 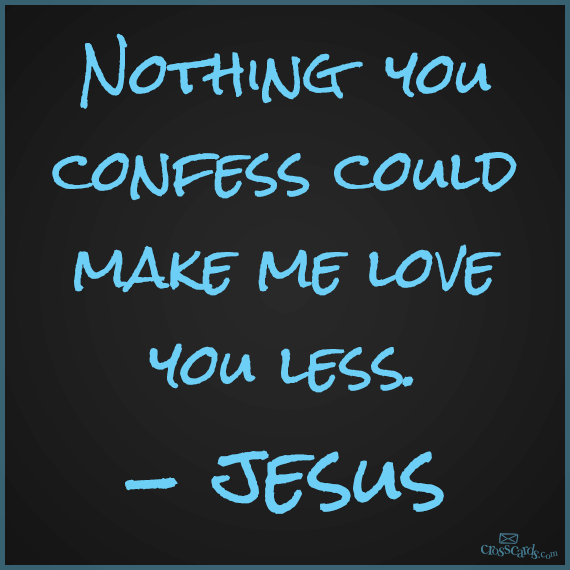 "Nothing you confess could make me love you less." "Therefore let us draw near with confidence to the throne of grace, so that we may receive mercy and find grace to help in time of need." We have nothing to fear with Him because His love is perfect...never-changing...unconditional! As my pastor often reminds us, "God is not mad at you, He is mad about you!" So, when all is said and done, as you walk out your faith day-to-day, confess everything and communicate with God knowing that no matter what you bring to Him, (it's not like He doesn't already know!) that He loves you unconditionally and His love is an everlasting love! Nothing you say will ever change that!! His love remains constant and perfect for you! So, go in confidence today encouraged by His strong and perfect love for you! 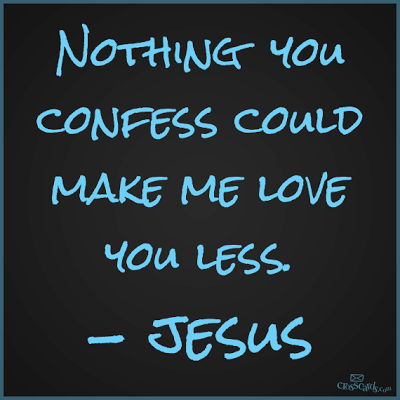 ...but don't forget the importance of confession and constant communication with Him as you live and walk out your faith in and relationship with Him! Child of The Most High God!